My favorite thing to do when I have down time? Watch cooking shows. Recently, The Cooking Channel premiered the first ever vegan, plant-based show called “How to Live to be 100” starring chef Jason Wrobel. He never once says the words “vegan” or even “plant based.” He just cooks. Brilliant! 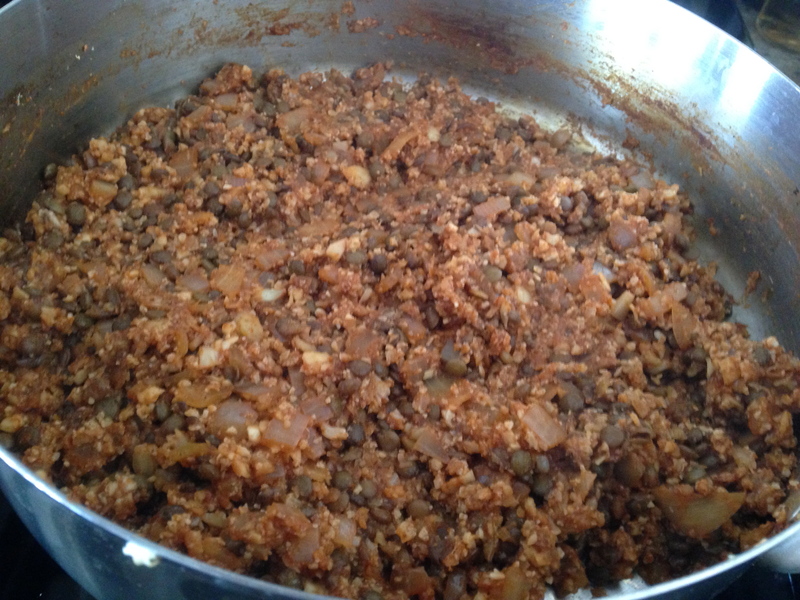 In this recipe, Jason uses a combo of cauliflower and lentils to make taco “meat” with all of the usual taco spices. I adapted his recipe to fit what I had going on in my kitchen today which is, by the way, the biggest cooking lesson in this whole cooking project. I look at the ingredient list for a recipe and then make up the proportions that work for me. In terms of herbs and spices, I use as much or as little as I like, want or have on hand. The recipe is a guideline. It is fun to make someone else’s dish, but the truth is, even if you follow it exactly it won’t come out the same! * I love these Eat for Life Sprouted Corn Tortillas – 100% organic whole kernel corn! Organize the ingredients. Cook the lentils or even better, cook them beforehand. 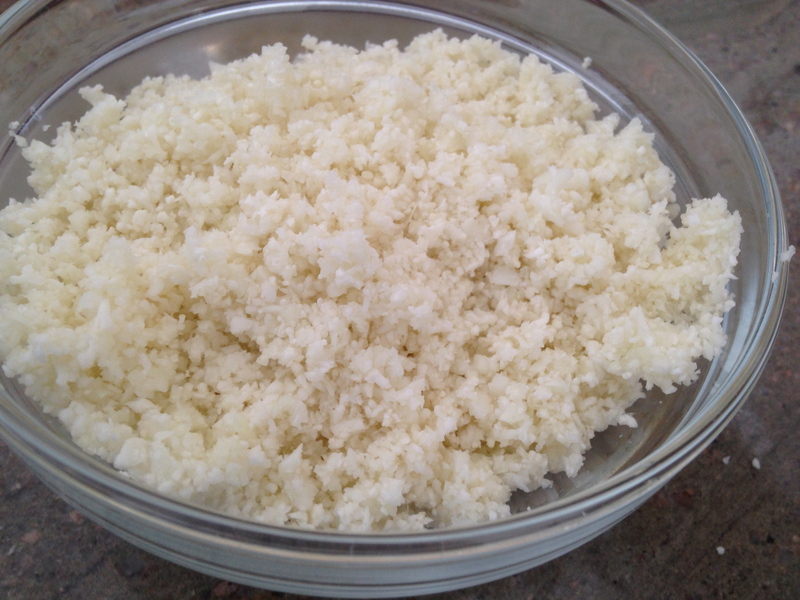 Break the cauliflower into florets and place into the food processor. Process until it looks like this. Dice the onion and mince the garlic. Measure out the spices, tomato paste and water. Shred the lettuce. Heat a skillet over medium heat. Add the onions and a few tablespoons of water. When they start to soften, add the garlic. Season with a pinch of salt. Next, add the cauliflower and toss to combine. Cook for a few minutes. Add the lentils, spices, tomato paste and water. Mix well to combine and cook together well until everything is well incorporated and heated through. Remove the flesh of the avocado and mash it in a bowl. Add the lime juice and a pinch of salt. Mix well. Spray the corn tortillas on both sides. Heat a non-stick skillet. Place a tortilla on the skillet and cook for a minute then flip over. Take one end with tongs and fold it to the other side so it looks like taco shell. Place onto a plate while you make the other taco shells. Assemble the tacos. 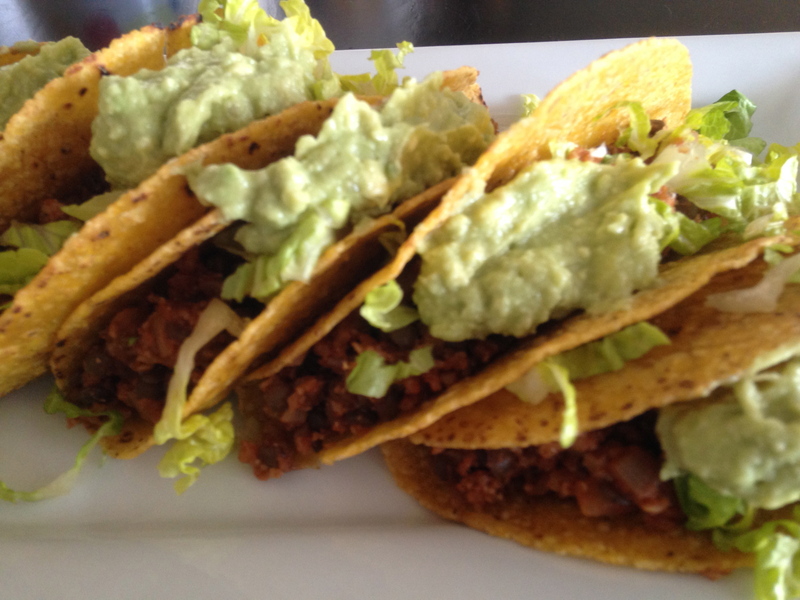 Fill each shell with taco “meat,” top with shredded lettuce and the avocado mixture. Serve and enjoy! I wish I got the cooking channel now! These tacos sound so good – I’m always down for tacos! these tacos are perfection! try them and let me know how you like them!